At Leading Edge Dental Center, we’re proud to be your full-service dental provider. Dr. Goone is a Skokie dentist with years of experience in both preventative and cosmetic dentistry. If your smile isn’t everything you want it to be, or if it’s been a long time since you’ve had a routine cleaning, we can help. Since 1986, we’ve been providing the North Shore community with premium-quality, personalized dental care that’s ideal for the whole family. If you have a dental emergency, Dr. Goone is a Skokie dentist who will make every effort to see you as quickly as possible. It’s never too early — or too late — to receive top-quality dental care. Leading Edge Dental Center is a Skokie dental practice that handles everything from baby’s first dentist appointment to replacement teeth for adults through dentures or dental implants. We’ve designed our office to be as comfortable as possible for our patients. In addition to offering movies on our televisions in every treatment room, we always do our best to provide dental care that is gentle, conservative, and minimally invasive. It’s our goal to keep our patients as relaxed as possible from start to finish. If you’re looking for a dental practice in Skokie that offers excellent dental care for all ages, Leading Edge Dental Center is here for you. Dr. Goone and his friendly, experienced team will provide you with the personalized dental care you deserve and educate you on proper tooth and gum care. We’re eager to give you a smile you’re proud to show off, so give us a call today or use our appointment request form to get in touch. Dr. Goone has been a proud resident of the North Shore of Chicago for the majority of his life. Dentistry is his passion. He loves meeting new patients and goes the extra mile to provide only the best quality dental care. Please contact us if you have any questions or would like to schedule an appointment. We look forward to serving you! 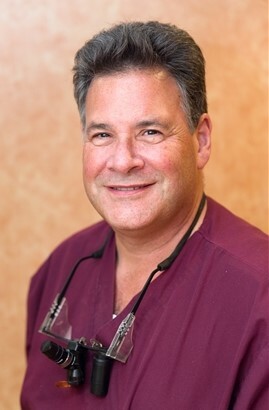 Skokie, Dentist, Dr. Michael Goone is a multispecialty office dedicated to excellence in cosmetic dentistry, Endodontics, Orthodontics and Periodontics.